So glad that one of my favorite Ultraman series is finally getting an official release. I hope this leads to more shows in the future! If you wanted to dip into tokusatsu, you couldn't hope for a better primer. Max, while as stand alone series, has tributes to many of the past series while never making the viewer feel lost or confused. Full of action, drama, comedy and adventure, Ultraman Max is a must watch. 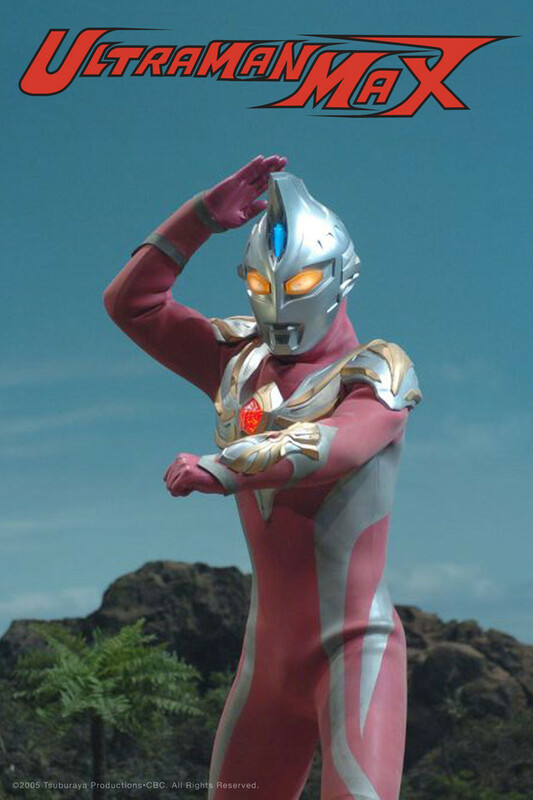 One of the best in the Ultraman series. The special effects are great, as well as the cgi. Fight scenes between Max and the kaiju of the week are excellent. Watch if you are a fan of Ultraman, or a fan of tokusatsu in general. And if you want to know what tokusatsu is all about this is a good series to start with. Hope this will lead to more tokusatsu on crunchyroll. ULTRAMAN MAX is a fantastic ultraman series and also just an all around great tokusatsu series. It has good characters and great fight scenes, i think crunchyroll made a great choice by making this it's first tokusatsu series and i hope this will lead to more. I have a soft spot in my heart for Max. It is not the strongest ultra series, but it has some very strong episodes. It was written by multiple people, so the tone and quality can vary vastly per episode. Some episodes are fantastic, but there are some really poorly done ones as well. And due to multiple writers, there is not much of an overarcing plot. And yet, it's still a special series to me. Ultraman Max starts out fairly average, but quickly ramps up with the wide variety of episodes directed and written by a wide variety of people. The Takashi Miike episodes are particularly good, and contain some of the best visuals, drama, and comedy I've ever seen in Ultraman or any tokusatsu series for that matter. I've seen a lot of people mention that the varied staff leads to some bad episodes along with the good, but honestly nothing ever seemed worse than just a drop in the bucket standard Ultraman episode. Besides the "gimmick" of the varied directors, this series' EDF team, DASH, is probably one of my new favorites. While there could have been a bit more character development, each member stands out pretty strongly, especially Sean and Elly. Overall this is a great Ultraman series with a lot of fun throwbacks, but not so much that it couldn't be a decent jumping on point for the series. When I got the Nexus and Max DVDs those subtitles were weird. I couldn't tell if they were really cussin. Didn't sound like the real Ultraman series I remember since Tiga. When I saw this version on this sight, I was very happy the subtitles were more proper. There once was a time where Tsuburaya created something grand and majestic. The name was Ultraman Nexus, holy child of Jesus, Jesus, Jesus and Chuck Norris. Alas, the world was not ready for such might, for Nexus was scorned. Feeling dejected, the minds over at Tsuburaya Productions then decided in a drunken stupor that they would return to the roots of the Showa series, a love song to their now adult fans. It was to be grand, with all previous Ultra Brothers making returns, the first blue Ultra Brother, a radical attack team that's not entirely useless and two movies to be made in his glory. Except first they would need to regain the trust of the fans first, Tsuburaya Prod. realized. Thus, they pooped out Max. Max is almost as pitiful as 80 in that both look ridiculous and have no movies. The difference is that Max was better received than 80 and did well to hype up Ultraman Mebius. Max is one of the most upbeat Ultra series next to Neos. If you're allergic to happiness and instead likes dark stuff, Ultraman Leo is over that way.